Medicare home health coverage is often erroneously described as a short-term, acute care benefit. This is not true. 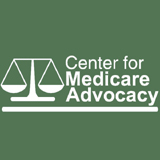 Although it may be implemented in this way, under the law people who meet the threshold qualifying criteria (legally homebound and needing skilled care), are eligible for Medicare home health coverage so long as they need skilled care. In fact, Congress actually acted affirmatively to authorize long term Medicare home health coverage in 1980 – removing the annual cap on visits and rescinding the prior hospital stay requirement. Entry filed under: Home Health, Uncategorized. New Medicare Payment Model Puts People Who Need Home Care in Jeopardy	Tax Cut Bill Just Got Worse. Health Care at Risk.